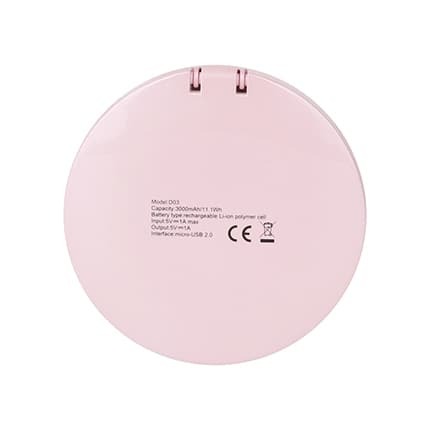 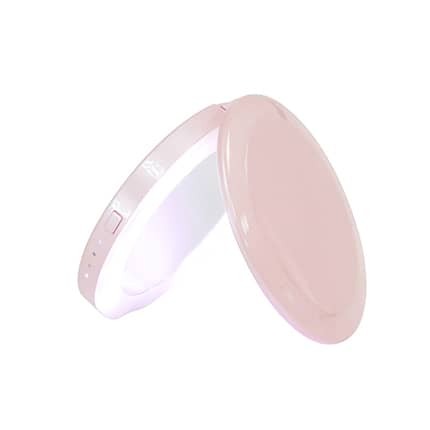 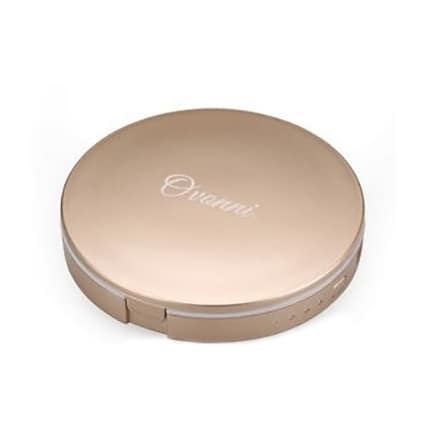 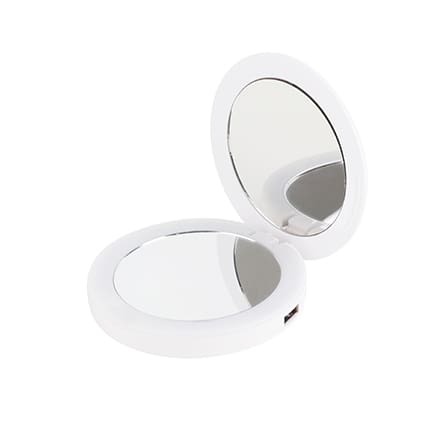 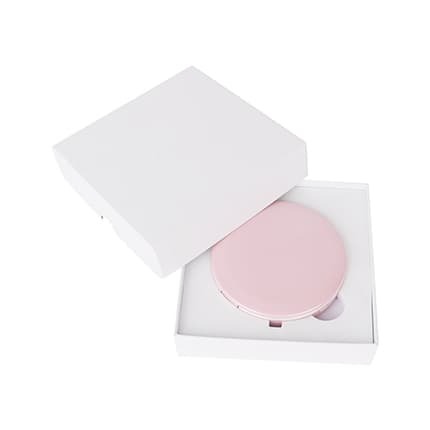 Cosmetic mirror power bank, contains two cosmetic mirrors in one, with both 1X and 2X magnification mirrors. 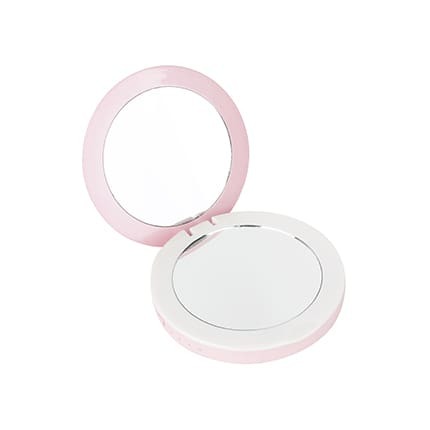 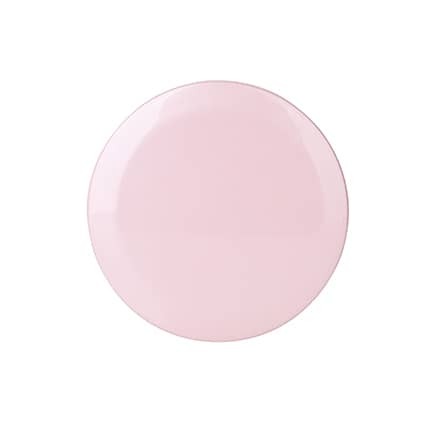 LED lights to illuminate the mirror letting you apply your make up perfectly. 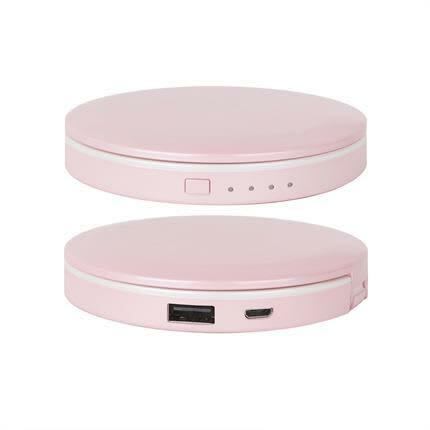 It comes with the sleek design, with the power indicators to let you know exactly how much time you have before the battery is fully charged.